As rewards strategies get more complicated, rewards professionals &experts investigate the question How do you know your rewards strategy is working? With an increasing focus on creating a productive workforce as the business environment becomes more competitive, organizations are looking closely at the engagement levels of the employees within the organization and are realizing the importance of a robust Total Rewards program towards attracting, retaining and motivating talent. According to a recent India Recruiting Trends 2016 report by LinkedIn, around 83 percent of the companies globally have defined acquiring the right talent as a business imperative. And with millennials entering the talent pools along with heterogeneous workforce, organizations are facing wide-ranging expectations from employees. On the other hand, the increased application of technology has also created a growing need within companies to re-think their people management practices. The effect of such an evolving business ecosystem has been felt across the spectrum of functions that fall within the domain of HR professionals. From front-end recruiting to managing healthy employee attrition, organizations today are demanding more from their HR function. With such greater business focus on engaging, motivating and retaining the right talent, HR professionals need to look beyond the obvious to strategize and streamline their processes, especially the Total Rewards space. Given the plethora of options that are available for Rewards professionals coupled with limited budgets, there is a need to have efficient rewards program. 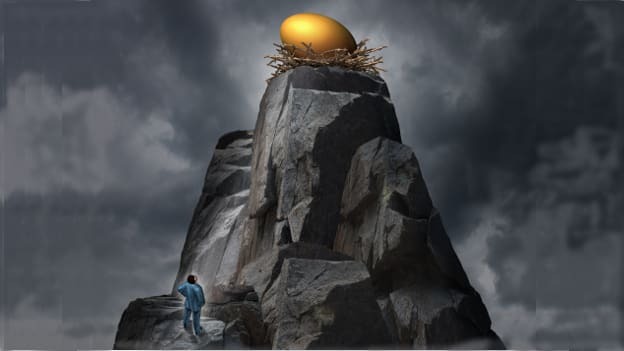 While Total Rewards, traditionally in the form of compensation and benefits have formed the bedrock of various employee engagement and motivation programs, there has been an increasing focus on non-monetary benefits and recognition practices that have further expanded the options that reward professionals have to choose from. The growing spectrum of options has, in turn, made it necessary for rewards programs to be more contextual and relevant for their workforce. The evolving law and policy structures within the nation, in recent times, have also played a vital role in designing rewards programs, for example, the recent ruling on maternity care has further laid down minimum requirements of a rewards program. “So how can rewards professionals look at executing and monitoring the impact of their rewards programs?” The key theme in the recently concluded People Matters Total Rewards Conclave 2017revolved around this very question along with – “How do you know your rewards strategy work?” The panelists of the conclave included Amitabh Johri, Head of Strategic Initiatives, Quatrro; Isaac Koshy, AVP, Rewards, Emirates NBD; Mahalakshmi R, Head HR India, Mondelez; and Nishit Shah, CFO, Infosys BPO, with Ester Martinez, CEO, and Editor-in-Chief, People Matters moderating the panel discussions. During the panel discussions, it was deduced that when designing and executing a Total Rewards strategy, its proper execution and proper monitoring should be considered crucial. A key tenet while monitoring any strategy should be that it has to be measured keeping three stakeholders in mind —external stakeholders, internal stakeholders, and employees. The same applies to any rewards strategy. Any rewards program should be assessed by its impact on all the key stakeholders as it will help Rewards professionals to create the right case. 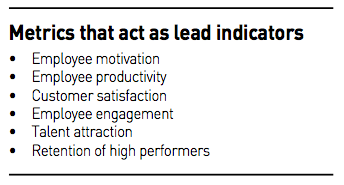 Reward strategies can be assessed by evaluating their impact on leading indicators of employee engagement. However, rewards program’s impact on such metrics varies from business to business and relies on a combination of factors including industry dynamics and market trends. Infosys BPO’s Nishit Shah, highlighted that they use employee motivation levels and attrition numbers (among other metrics) to measure the efficacy of their rewards programs. The panel also deliberated upon the viability of measuring the effectiveness of rewards program on a real-time basis. And it is important to study the lead indicators. “In the BPO industry”, Nishit Shah adds, “it is easier considering the extremely high levels of the attrition rate. We introduced a non-cash rewards program and saw a drop in attrition numbers within the first three months.” Such lead indicators should be created and assessed at regular intervals, and the periodicity should be chosen to best match the employee size and the lead indicators in consideration. Rewards and recognition 2.0: What does it comprise?